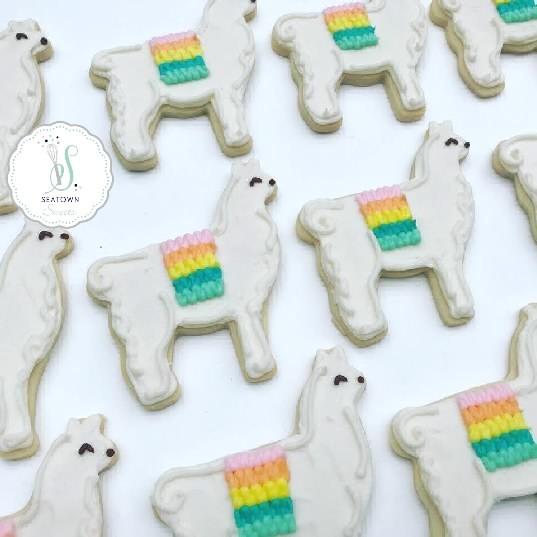 Frost a batch of llama cookies for a birthday party or llama farm event. 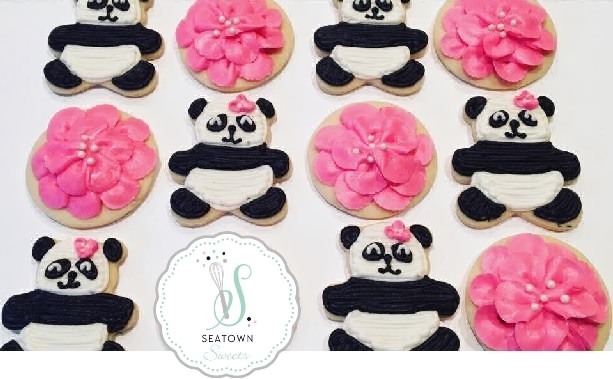 Frost precious little panda cookies for a baby shower using our teddy bear cookie cutter. Darling and tasty buttercream woodland cookies. The orange fox, grey owl, brown deer and acorn. 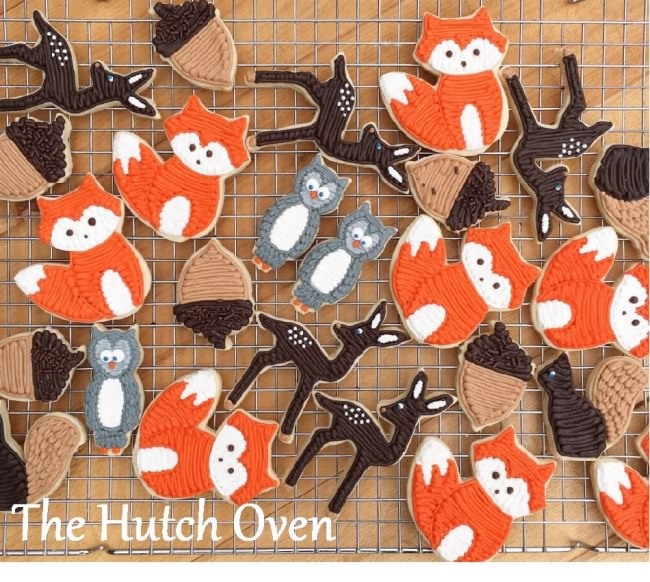 Great woodland baby shower cookies.